H&R sport springs have been engineered to deliver improved handling and a lowered ride height while maintaining superb ride quality. 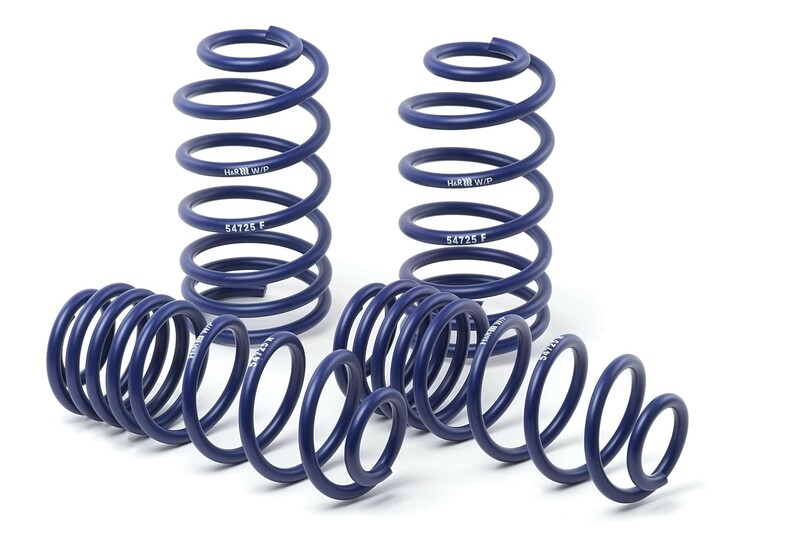 Manufactured and tested at H&R facility in Lennestadt, Germany, H&R sport springs are ideal solution for the enthusiast who appreciates race-bred components designed for street use. H&R Sport Springs offer the handling characteristics and aggressive appearance that you´ve been looking for, without the harsh ride characteristics of less-advanced spring systems. Enhance the look of your vehicle with a reduced fender well gap. H&R Sport Springs lower the vehicle center of gravity and reduce body roll for better handling. If you are only looking to improve one part of your vehicles suspension, you cannot go wrong with installing sport springs. Fun to drive, H&R Sport Springs are the number one upgrade for your vehicle. Every spring produced by H&R comes from the H&R ISO 9001 certified engineering and manufacturing facility. All H&R springs are produced from a special 54SiCr6 spring steel, which has strength rated at 290,000 psi resulting in unrivaled tensile strength and resiliency.